FETC is partnering with Learning Games Network and BrainPop to offer a free day of professional development to help educators from across the country innovate through the use of games. Playful Learning @FETC is a hands-on BYOD workshop for those new to game-based learning, and will give educators the tools they need to effectively integrate games into quality teaching. The workshop will take place on Tuesday, January 28, 2014, from 9 am to 4 pm, in room S310BC of the Orange County Convention Center. Attendees are encouraged to bring their own devices. Laptops are preferred, but tablets are welcome. 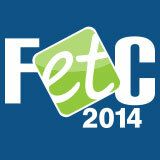 The event is free to all registered FETC attendees, and participants will earn 6 hours CEU credits for attendance. To register, click here.